Welcome to America, where we have a thriving reality TV show industry, including that of the oh-so-famous Bachelor and the spinoffs, the Bachelorette and Bachelor in Paradise. Admittedly, people I know would not typically expect me to watch a show like this, a show that’s brimming from the bottom to the top with drama. I started watching the show the summer I was heading into freshman year of high school at my grandmother’s house in Italy. We didn’t have access to much media, but had the ABC app, where my mom and I streamed Jojo Fletcher’s season of the Bachelorette. The show surprised me by being quite entertaining. The drama was often intense as well as funny, and soon enough the show became something I looked forward to watching each week. When the Bachelor announced its return this year, I was immediately shocked to find out that the new bachelor was not the bachelorette’s beloved runner up, Peter Kraus, but an older man picked from Bachelor archives. Arie Luyendyk Jr, the 2018 Bachelor, was a reboot from Bachelorette, Emily Maynard’s season. Emily’s season is almost six years old. 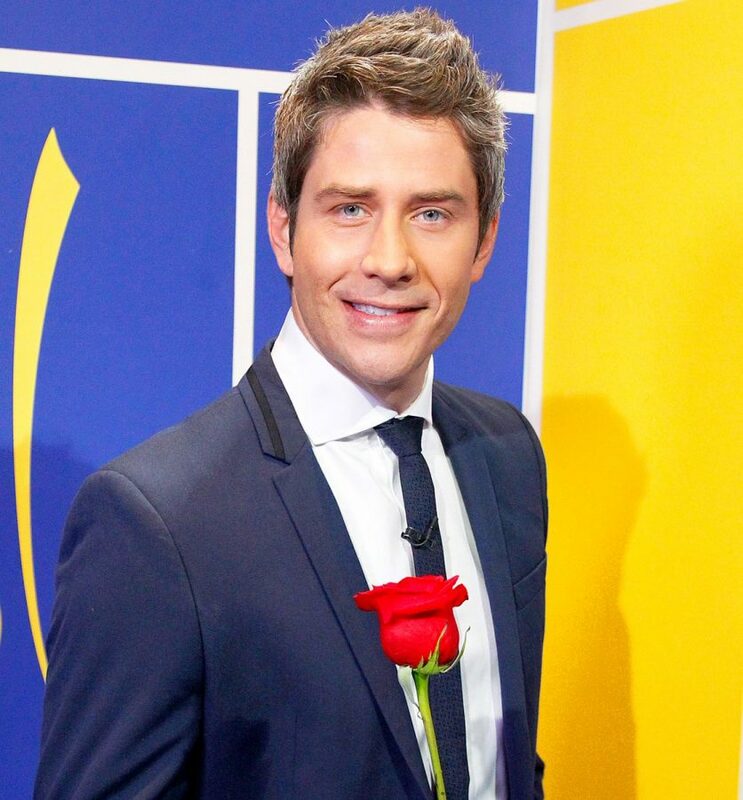 With a six year gap, most of Bachelor Nation likely already began to forget Arie’s existence, making him slightly irrelevant. This was strike one. Arie didn’t begin the season well either. With a lack of emotional complexity and almost no conversational skills, his interactions with the bachelorettes on the show were bland, and lacked any sort of emotional substance or depth. Arie was standoffish and appeared to be faking a lot of his “emotions” towards the women in an attempt to manipulate them to do exactly what he wanted. My issues with Arie were only confirmed when the finale of the show arrived on Monday, March 5th. Arie struggled to make a decision over which bachelorette he wanted to end up with. In a span of about two hours, he forced himself to impulsively make a decision, likely based off his parents’ desires and not his own. He chose bachelorette Becca Kufrin, and sent runner up Lauren Burnham home crying. Normally, this would be how yet another season of the Bachelor comes to a close. This was not the case for Arie. Instead, Arie stood up on national TV and promised Kufrin, “ I will choose you everyday here on after,” only to change his mind a couple of weeks later. This, alone, put Kufrin in a devastating position, but it only got worse. Arie made the decision to break the news, that he had changed his mind, ending their engagement, and had been communicating with his ex, Burnham, to assure she would take him back. In the words of Laura Bradley of Vanity Fair, in her March 7th article: There Is No Excuse for What The Bachelor did to Rebecca Kufrin, “Imagine getting engaged right after your boyfriend broke up with his other girlfriend. Now, imagine finding out weeks later that he’d been in touch with that now-ex-girlfriend, and he’s planning on asking her to take him back—effectively ending your engagement. And finally, imagine reopening the wound by talking things through with him—only for him to propose to that other woman on national television a few minutes later.” The agony and humiliation you just imagined, Kufrin had to experience on live tv without warning. If this didn’t set alarm bells off for you, perhaps Arie’s harassment of Kufrin following the news, will. Kufrin began to get emotional, and in response, Arie walked out of the house. He then returned to hear Kufrin loudly sobbing in her bedroom. He responded by walking into the room, thereby directing America’s attention on an emotionally distressed Kufrin. He asked her if she would like him to leave, she responded with an obvious yes. However, Arie refused to leave, and stood in front of her blankly staring. He still did not leave after Kufrin locked herself in another room, still crying. He continuously asked Kufrin if she was okay, and said that he was sorry, but his words were devoid of any emotion. He continuously disrespected Kufrin. First, by talking to his ex before talking to her. Secondly, by breaking the news to her on national television. Thirdly by ignoring her wishes, and continuously confronting her in her understandably fragile state. And, lastly, by proposing to Burnham shortly after, again live on national television. Thankfully, Bachelor Nation did not remain unfazed by Arie’s actions. Prior to the airing of the finale, former Bachelorette on Arie’s season, Caroline Lunny, had no shortage of words to say to Arie, and was not shy in expressing them in Women Tell All. People’s Magazine’s article Why The Bachelor‘s Caroline Called Out Arie During the Women Tell All by Aili Nahas and Aurelie Corinthios quoted Lunny, “This whole time, you’ve said that you are here because you are trying to find a wife. . .I know what you did, and I don’t know how you could do that. I just really don’t understand. But I really hope you found what you’re looking for.” Lunny was also quoted off air subsequent to Women Tell All, “I definitely had some things to say to Arie. . .I needed to say what I said. When somebody burns somebody you love, you want to have that moment where you get the last word in. . .It was nice to have that moment and [fight back] a little bit. Not many people get that moment, and I’m really grateful that I kind of had it.” She continued by remarking, “It’s funny because it was never about me and Arie. . .It was always about these girls. We became friends. My relationship with Arie didn’t develop as fast as anyone else’s. There were times when I really cared about him. When I left I said, ‘No hard feelings, I think you’re a really great guy and you’re lucky you have really great girls in there. I wish you nothing but the best and I really hope you find her.’ ” She then expressed that she couldn’t feel any more differently now. One of Bekah’s posts on Instagram about Arie DMing her. Sophomore Nadejda Radoulov also agreed, conveying, “If I was Becca, I would be furious at Arie. Arie acted as if Becca was a pawn in his game, not a living, breathing person with real emotions. For me, there was a question raised of whether Arie respects women at all, or even considers them equal, because his decisions toward Becca did not mirror a relationship in which they were equal partners”. There is no question that Arie’s decisions, and lack of better judgement have sent Bachelor Nation into a tizzy. However, one positive result arose from the furry generated by this season, Kufrin has been granted the honor of being next season’s Bachelorette, where thousands nationwide will be rooting for Kufrin to find true love. Kufrin’s season of the Bachelorette will air on May 28th, and all of Bachelor Nation will be rooting for Kufrin on her journey to find a husband (who hopefully won’t be anything like Arie).